I'm still looking for a good online Czech to English text conversion site. No luck so far but at least I occasionally bust up with laughter at some of my "failures". translated "plachy trpaslik" into "ruffle midget". Those things rarely work well. There's a site (translationparty.com) where you type in a sentence in english, and it uses Google translate to change it from english to japanese and back again until it stops changing. The results are usually fairly warped. Most of these can work. Site (translationparty.com) types of statements and opinions in English, Google will be used to change the English translation from Japanese to stop the changes. Result is usually very irregular. I wonder, why this game wasn't mentioned on the games page of the site? 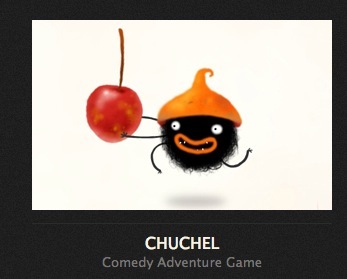 Maybe it is because Jaromir Plachy wasn't the part of Amanita Design at that moment and made this game by himself? 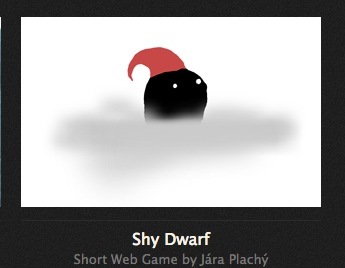 Wasn't Shy Dwarf an inspiration for Chuchel? Main characters are similar and the environmnet also bears some similarities. I think you make a good point. The similarities are obvious!